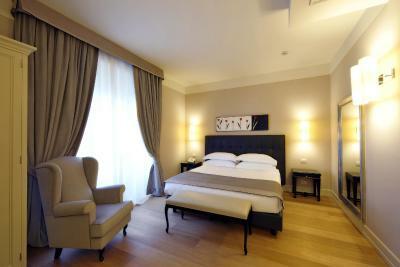 Lock in a great price for Hotel Palazzo San Lorenzo & Spa – rated 9.1 by recent guests! Exceptionally clean, everywhere and everything. Almost invisible and very effective staff. Location. Breakfast. Spa. 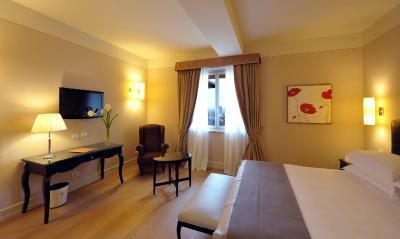 Very nice hotel with a very nice and accommodating staff. The room was large and comfortable although the couch could have been placed in a better position for TV viewing. Breakfast was very good. We home based from the hotel to explore Tuscany for 6 days. 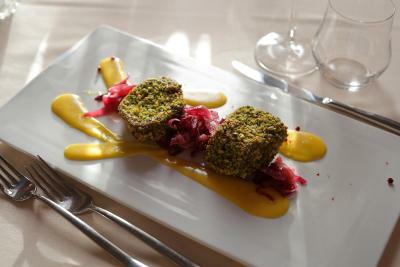 It’s in a great little hill town with wonderful restaurants and easy in and out access. 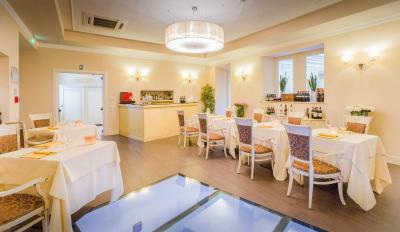 The hotel itself has a great restaurant, the staff were very helpful and professional, the rooms were extremely spacious, clean and comfortable. We loved every minute of our stay! 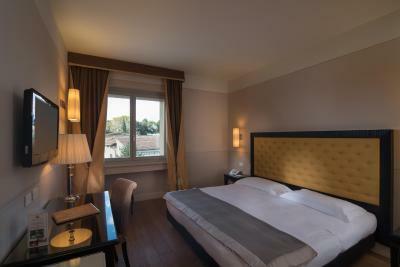 Friendly staff, amazing spa, great breakfast, spacious room, very clean, and really nice food at the restaurant. Quiet and beautiful hotel. The room (we had a family room) was just amazing. Very spacious, clean (looks like new) and most important kids friendly :-). 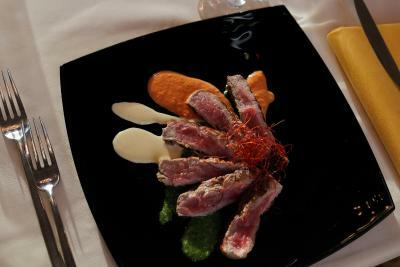 The staff (at the desk and in the restaurant) were very friendly and hospitable. The location of the hotel is in the middle of the old city. Just few meters from one of the gates (very beautiful). So, to sum it all up: great place, highly recommended. 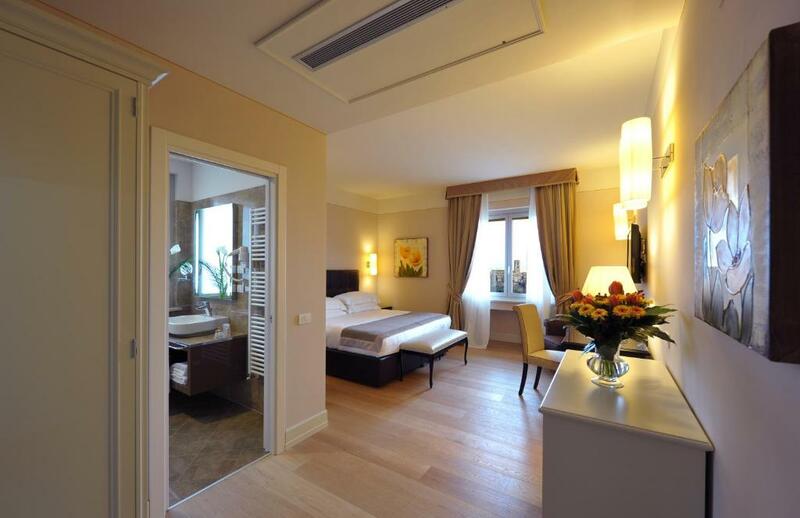 Clean, spacious rooms. Staff that was incredibly accommodating. Adorable town to walk around for the afternoon. The location was amazing and the property was very clean. The staff was so friendly at breakfast and were very help with directions around the town! They recommended an amazing easy 5km hike near the city center, it was fantastic!! 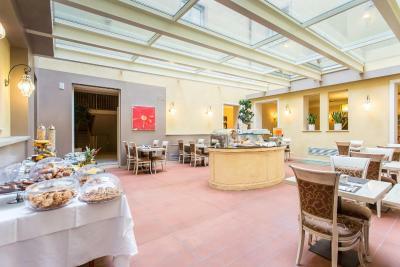 Big, spacious, clean, modern and comfortable rooms and friendly staff in a quaint little village, convenient location if you want to explore sights in the province of Florence by car. Breakfast was minimal--we did not go hungry, but not special/ Noise from adjacent kitchen was deafening. 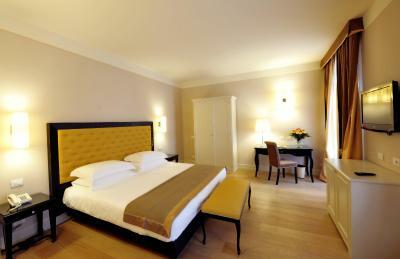 Liked---cleanliness of rooms--minimalist style, helpful staff. 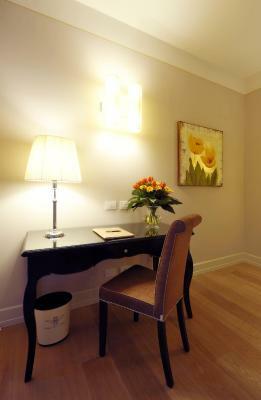 Comfortable and spacious room, location inside the historical center. 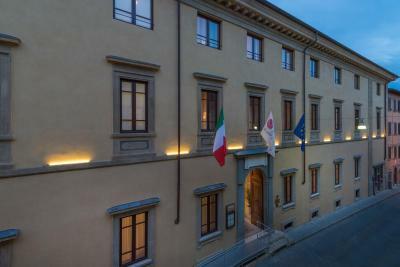 Hotel Palazzo San Lorenzo & Spa This rating is a reflection of how the property compares to the industry standard when it comes to price, facilities and services available. It's based on a self-evaluation by the property. Use this rating to help choose your stay! 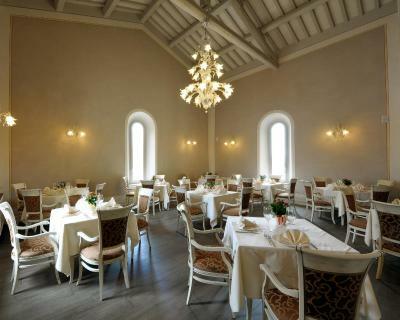 One of our top picks in Colle di Val d'Elsa.Palazzo San Lorenzo is in the medieval village of Colle di Val d'Elsa. 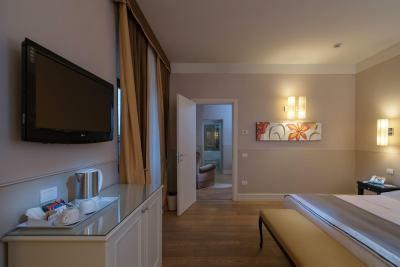 It offers rooms with modern-style décor, 32” LCD TV and hydro-massage bathtub or shower. 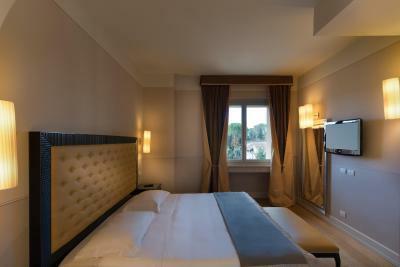 The spacious rooms come with free Wi-Fi, free mineral water in the minibar, and air conditioning. 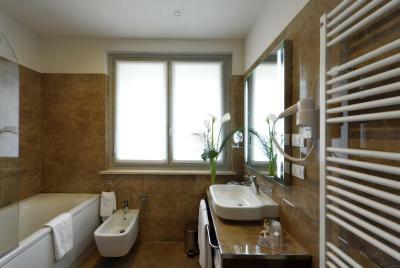 They have parquet floors and marble bathrooms. 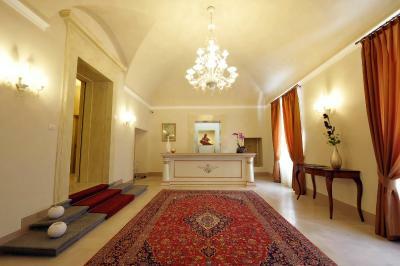 The elegant San Lorenzo palace dates back to the 17th century. Public spaces are decorated with statues and crystal chandeliers. 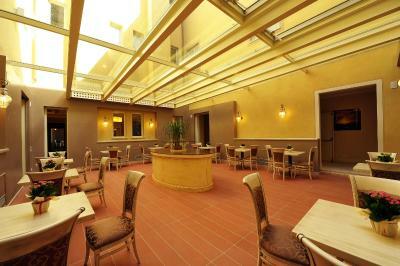 Covered by a glass ceiling, the central court has lots of natural light. 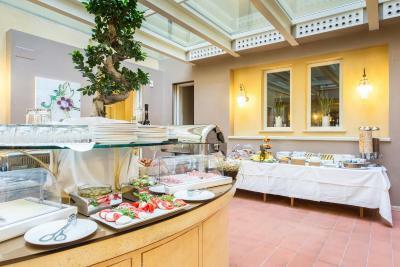 A buffet breakfast is served here. 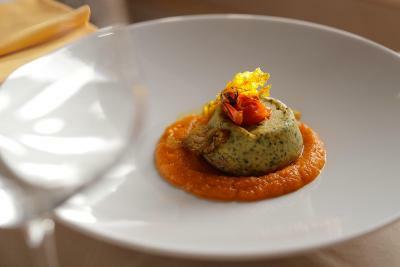 The hotel’s restaurant serves Tuscan dishes. 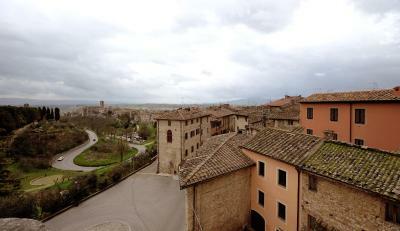 San Gimignano and Siena are less than 30 minute drive away. Florence is 28 miles away. 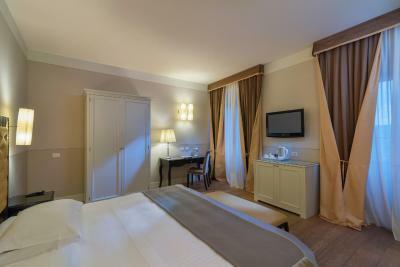 When would you like to stay at Hotel Palazzo San Lorenzo & Spa? With hydro-massage bathtub or shower and 32" flat-screen TV. 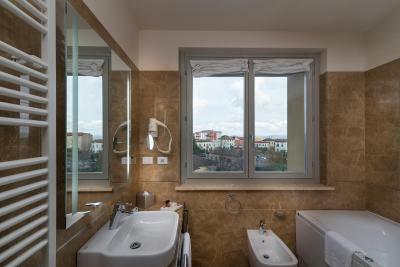 With hydro-massage bathtub or shower, 32" flat-screen TV and panoramic view of Colle Val d'Elsa. Spacious suite with a hydro-massage bathtub, 32" flat-screen TV and sitting area with sofa or armchairs. 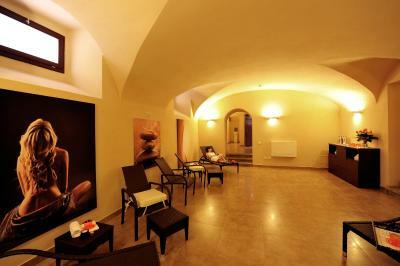 You have free use of the sauna, hammam, heated pool with hot tub, and the relaxation area, during the opening hours of the spa center. 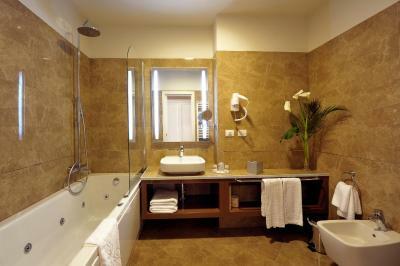 This room features a bathtub or hydro-massage shower. 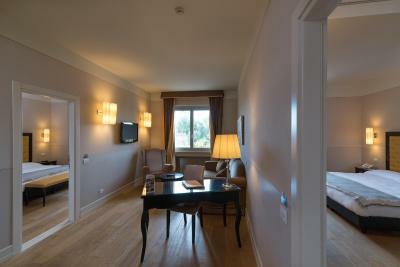 This suite is composed of 2 bedrooms with 2 bathrooms, connected by a living area. 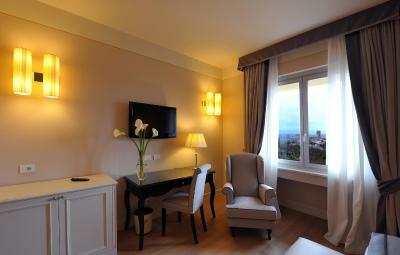 This spacious suite has a hydro-massage bathtub, a 32" flat-screen TV and a armchair. 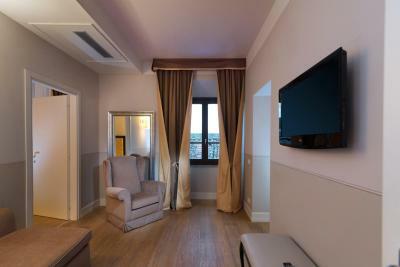 This suite has a sofa, soundproofing and spa bath. 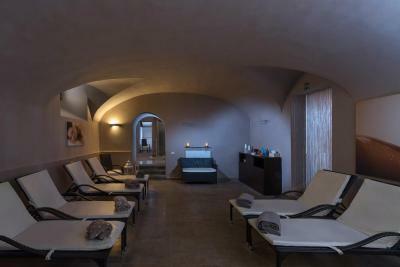 You have free use of the sauna, Hammam, heated pool with hot tub, and the relaxation area, during the opening hours of the wellness center. 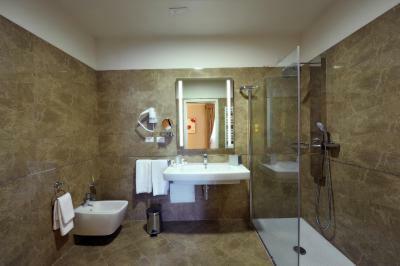 It includes free use of the sauna, steam bath, heated pool with hot tub, and the relaxation area. 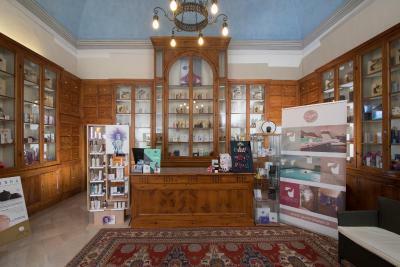 House Rules Hotel Palazzo San Lorenzo & Spa takes special requests – add in the next step! 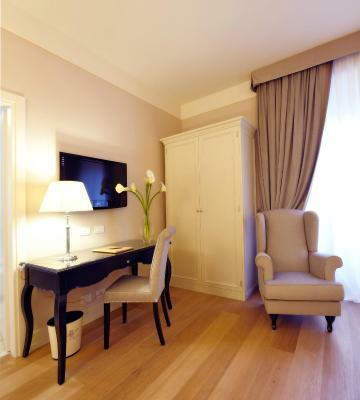 Hotel Palazzo San Lorenzo &amp; Spa accepts these cards and reserves the right to temporarily hold an amount prior to arrival. 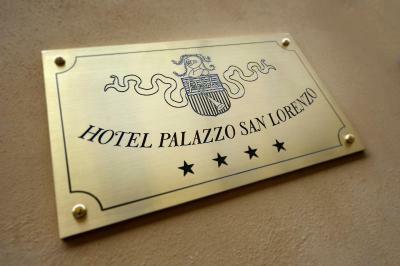 Hotel Palazzo San Lorenzo & Spa accepts these cards and reserves the right to temporarily hold an amount prior to arrival. 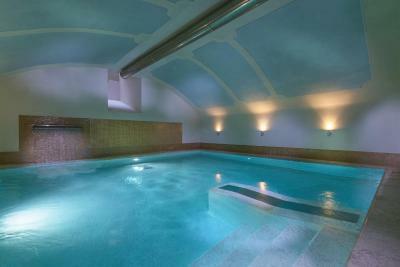 Please note that the entire spa center and the indoor swimming pool are available for an extra fee. Children under 14 years old cannot access the spa center and the swimming pool. Location was great - loved the view from the balcony. Great restaurant a couple of doors down! Spa was a lovely treat. 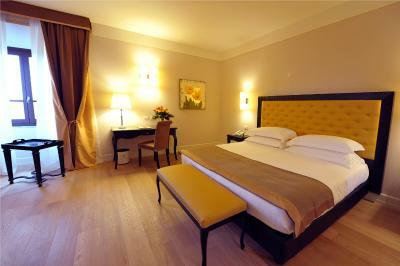 The rooms are quite comfortable, the building is nice, there's a lot to visit around if you have a car. Good value for money. Some of the bathroom fittings were a little the worse for wear. 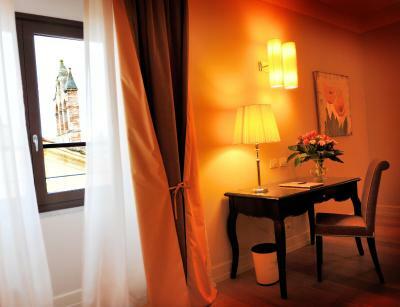 A very nice room with a beautiful view. Very helpful staff. 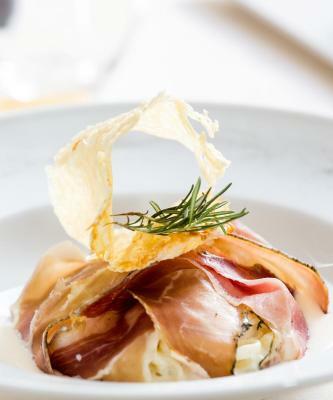 Walking distance to delicious food. Really great spot. The lighting and colors in the hallways were rather blaring and didn’t reflect the comfortable feel of the rest of the hotel & spa. Nothing. Everything exceeded our expectations. Our bedroom was outstanding. 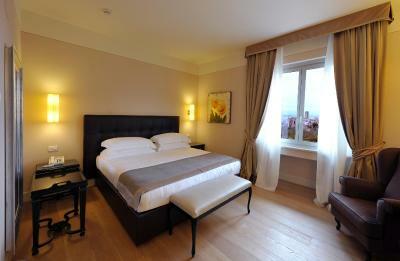 It was a great size room and it was beautifully and tastefully furnished. The spa and massage was excellent. The parking is far and requires walking and climbing uphill. 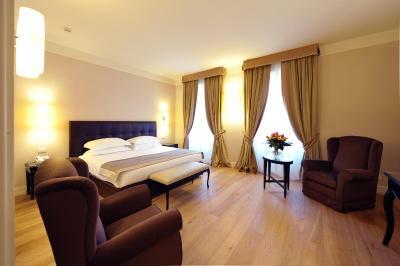 Great hotel, clean and comfy. 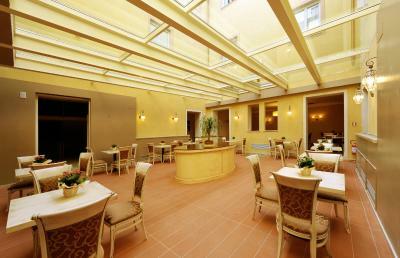 The location is perfect for traveling in center Toscana. 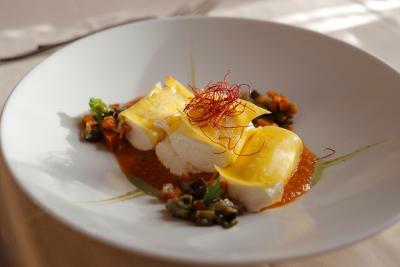 Best restaurants are located in the new village, try them. Breakfast is tasty.